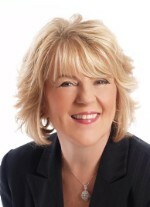 Marie Breslin is a full-time licensed real estate broker, and has been for more than 25 successful years. She is a lifetime Queens resident & is very active in her work for the Maspeth Community. Marie is a long-time member of Maspeth Chamber of Commerce, and the Kiwanis Club of Maspeth, of which she is currently Club President. She is also a member of the Long Island Board of Realtors, and of the National Association of Realtors. Marie holds a Notary Public license for the State of New York. Marie possesses a flair for the arts and has a certification in Interior Design, and as well as in the NAR Green Designation. Marie was recently honored as a Woman of Distinction by Margaret Markey & the New York State Assembly for her contributions to the community. "I am very grateful to be a member of such a wonderful community such as Maspeth. If I can ever be of assistance to you, please give me a call at 917-623-6306. I would happy to serve you!"